The PULSE Leg and Hip Recovery Package is our second most popular package and provides an edge to the serious athlete. Fresh legs are essential but keeping your hips loose and flexible is important as well. 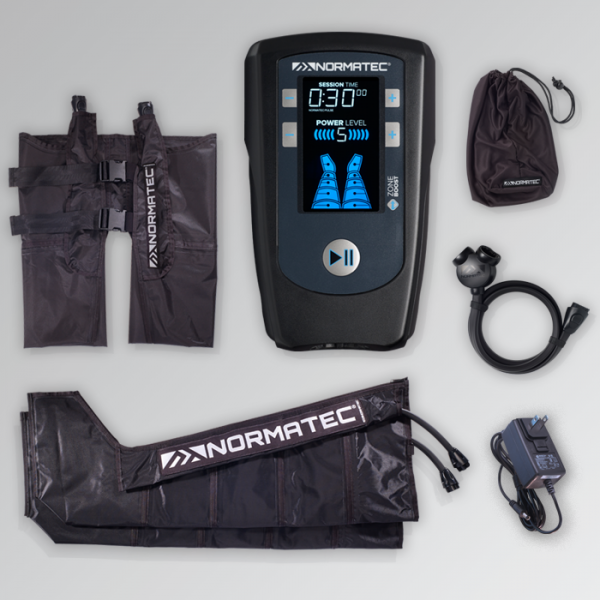 Treat your legs with our NormaTec boots, then double up on your quads, hamstrings, and IT band while also hitting your glutes and lower back with the included hip attachment. - Rechargeable battery for up to 2 hours of use.